Shelly is in the middle of a giant office renovation and as part of her redo she has created this fun DIY Framed Fabric Pinboard. It is a super fun place to gather inspiration, photos, or even keep track of your kids assignments now that they are in school. 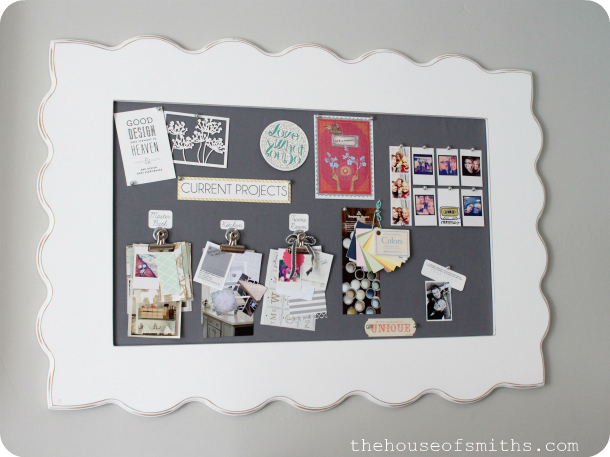 You can check out how to make your own framed fabric pinboard over at House of Smiths.